The Sacramento County Men’s Senior & Super Senior Tournament was held May 7-8 at Ancil Hoffman Golf Course in Carmichael. 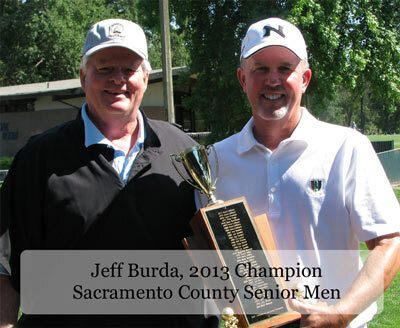 The Senior division was won by Jeff Burda with 71-70-141. There was a tie for 2nd. Terry Foreman 71-73-144 and Herb Jensen 70-74-144. 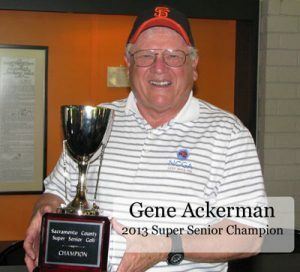 In the Super Senior Division Gene Ackerman and Carl Selkirk tied in regulation play. Ackerman shot 67-75-142, Selkirk had 68-74-142. Ackerman won in a two hole playoff with a 10ft. birdie putt on #2. Earl Stewart finished 3rd with 71-73-144. The shot of the day was made by Gerry Valentini knocking in a Hybrid from 160yds out for an eagle 3 on the par 5 2nd.